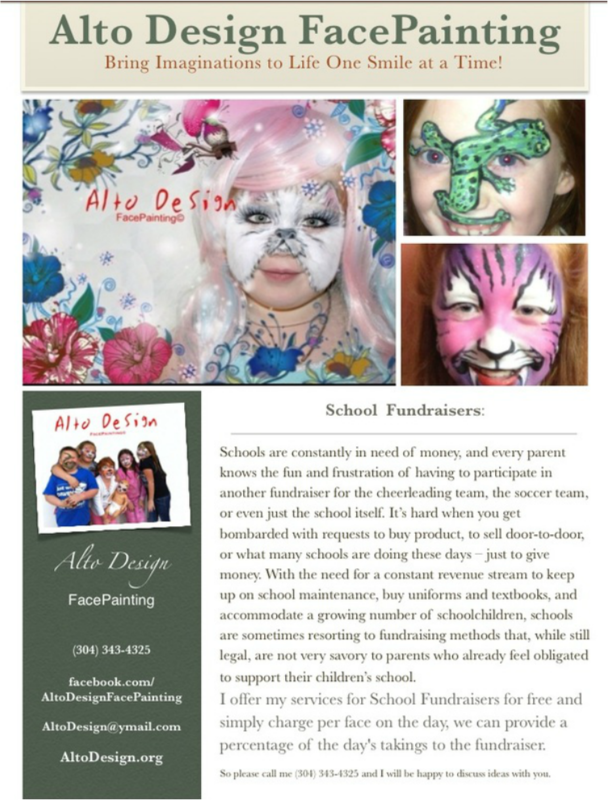 We have worked with many of the Schools with Football, Basketball, Baseball, Volleyball and Soccer and Fundraiser. We also do AR Partys, End of School Year Events, Cowboy Day & Graduation Events. ​We offer my services at either a reduced rate, reduced start fee with donation given, free set up with charges to public. It is all dependent on the specific event. We do try our best to work within any budget. We are a registered Kanawha County vendor with the schools. So please email AltoDesign@ymail.com and we will be happy to discuss ideas with you.